with all these media reporting that kimi has signed with ferrari, is it possible that all turn out to be only a rumour? Who knows it could still be a rumour. But Amus is usually spot with these things. Whatever the outcome it does atleast seem like we will be getting an answer about what Kimi will do next year. For me that is the best part. Kimi's silly season rumours has been extreme these past few years, and every year we have had to wait until the end of the season, it will be nice to have an early announcement. The Germans say Alonso goes back to Enstone for an incredible 3rd stint with Santander and salary assured by Renault. If that is true, then I think Alonso's the one benefitting here. I don't see Ferrari performing at all, reportedly the worst engine out of the three, same with KERS, and then windtunnel problems for three years. While Lotus, although they need is money, they'll be getting more money and won't have to pay for Alonso's salary, add to that, they're not losing out on a driver since Alonso is equal to Raikkonen if not better, then there's the fact they will have a better engine and kers, along with better tyre management (don't see that going away). Why can't Renault pay Raikkonen's salary at Lotus if he was to stay there? Ferrari said that they will decide about their driver in few days... now Kimi will decide his future within 48 hours.. coincidence? Kimi Raikkonen will decide his Formula 1 future in the next 48 hours amid growing speculation about a move to Ferrari. After weeks of interest surrounding the Finn's plans, sources close to the former world champion have revealed that he is now ready to make his choice. Raikkonen has been waiting for Lotus to get the financial and technical assurances he wants to be sure of staying. However in light of Lotus not being in a position yet to deliver those guarantees, Raikkonen's management team has also been in discussions with Ferrari. Those talks are at an advanced stage, with Ferrari also closing in on a decision about who to partner Fernando Alonso with in 2014. Ferrari is expected to make its choice clear on Wednesday, and it is understood Raikkonen is ready to commit if the deal on offer is attractive. Although there are reports that Raikkonen's Ferrari deal is done, sources close to him insist a final call has not been made yet. Ferrari too is not definite on its plans, although Raikkonen is believed to be its preferred choice. With the Ferrari decision looming, Lotus is aware that it now has a very small window to get things sorted if it is to keep Raikkonen. That is why it is continuing to push hard to secure its financial situation, both in terms of a deal with investor Infinity Racing and potential increased backing from Renault. Lotus boss Eric Boullier said Raikkonen was aware exactly of what his team had to offer. "The decision rests more with him because he has an offer from us," said Boullier. "We know he has a couple of things we have to supply and deal with to close the discussion. 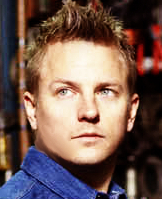 "But now Kimi is in a position where he is being chased by most of the paddock and he will decide. "He knows what he gets with us, but he doesn't know what he will get if he changes teams." Boullier is hopeful that the matter will be resolved imminently and that he can deliver exactly what Raikkonen wants. "I am very hopeful within a week I can have answers to the reassurances he is asking for," he said. "From that point on we can move very fast when it comes to talking about next year and trying to find a successful solution." Should Boullier's bid to keep Raikkonen fail, then Nico Hulkenberg - who is also on Ferrari's shortlist - is expected to move across from Sauber. Boullier said he was comfortable with the team's plans because of the competitiveness of its car. "After the second Ferrari seat we are lucky enough to be the next team on the list, so people can afford to wait," he said. "We can afford this luxury choice." Pekka Franck again....the reason why Kimi could be so specific about the announcement could be his managers cancer. Ferrari and Kimi agreed quickly upon money. They had to twist about other clauses for a little longer, the source reveals to SuomiF1. There are in-built parts in the contract which aren't necessarily found from so called 'normal' contracts. There has been discussion about RÃ¤ikkÃ¶nen's obligations to PR-jobs outside the races, but also the date of when the contract will be announced has been specified in detail. - It says in the contract that RÃ¤ikkÃ¶nen decides when to announce the contract, our source told a while ago. They have also built other conditions concerning the announcement. The big picture describes very well how detailed the paper is - to the last small detail. - As for announcing the contract it gets really complex. Kimi gets to decide when it's announced, Ferrari again gets to decide where it's announced and also in which way, in a big press event or just by a bulletin, our source tells. - As for the announcement itself, RÃ¤ikkÃ¶nen pushed through the demand that he doesn't have to be present in a possible press event. Maybe one can draw the conclusion that Kimi really appreciates his free time, our source laughs. I've seen nothing about equal status in any of the rumours. Kimi to Williams , he gets a % of the team. Did any one post this ? This was just tweeted , can this be real? Is this FA Facebook page or a fake? maria, i think its a fake account. still the safest thing to do is just wait for the official announcement!